Diana has been in the insurance business for over 25 years. She is here to assist you as best as she can with any questions you may have in regards to treatment or insurance. She is a wife, mother of 3, and grandmother of adorable Frankie. She loves spending time with family and friends and her two dogs, Brixton and Ryker. 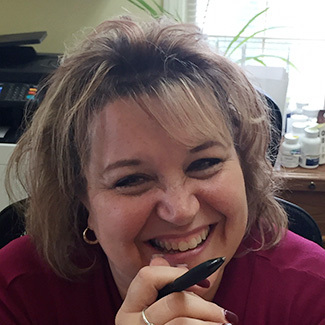 Jeanine is a longtime patient of chiropractic care, lover of all things holistic, a leader for Young Living essential oils and a passionate advocate for natural health. She is also a wife to Steve and proud mom of four boys. While she enjoys cooking and spends half of her life in the kitchen, her true love lies in interior design and she admittedly spends more hours lost in design books than she probably should.